Dr. Selig is an interfaith hospital chaplain at INOVA Fairfax Hospital in Falls Church, VA, the largest hospital in Northern Virginia. Ordained by the Family Federation for World Peace (HSA-UWC), he is a Board Certified Chaplain (BCC) and member of the Association of Professional Chaplains. He currently serves as chairman of the Northern Virginia Family Church council in Fairfax, VA.
Dr. Theodore Shimmyo is exceedingly knowledgeable of Christian theology, even in its intricate areas such as Trinity and Christology. And yet he does not teach theology merely as doctrine or dogma. With much passion, he relates it to our real lives, thereby encouraging us to bring God back to us. - B.A. Secondary English Education, Xavier University , New Orleans. Bishop Lester L. Williams is a native Alabamian and was called to the pastorate of the Community Church of Christ of Jamaica, New York in 1988 where he currently serves as the Senior Pastor. He is a public speaker, community activist, writer, and carries other titles too numerous to name. He is married to Shirley Graham and has three daughters. Dr. Andrew Wilson’s approach to Scriptural Studies is theological and ecumenical. He challenges students to become interpreters of the Bible who can infuse it with new life for today’s believers and seekers of truth. Dr. Wilson is a prolific scholar, whose books and papers cover diverse topics ranging from religion and peace to character education to the theory of the spirit world. Rev. 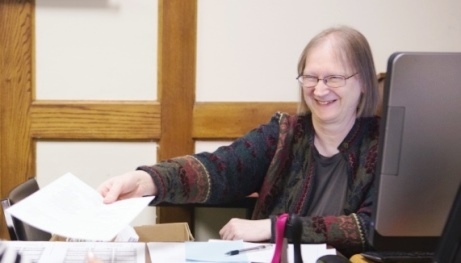 Kathy Winings, EdD, began teaching at UTS in 1989 and served as the Dean of Campus for UTS’ New York City Extension Center having worked there since its inception in August 2000. Together with faculty and staff, she expanded UTS’ influence throughout the greater metropolitan area of New York through the creation of various institutes and programs, setting UTS on the path of becoming a premiere seminary for effective urban ministry.